which turned out to have an unexpected twist in it….. Have fun! 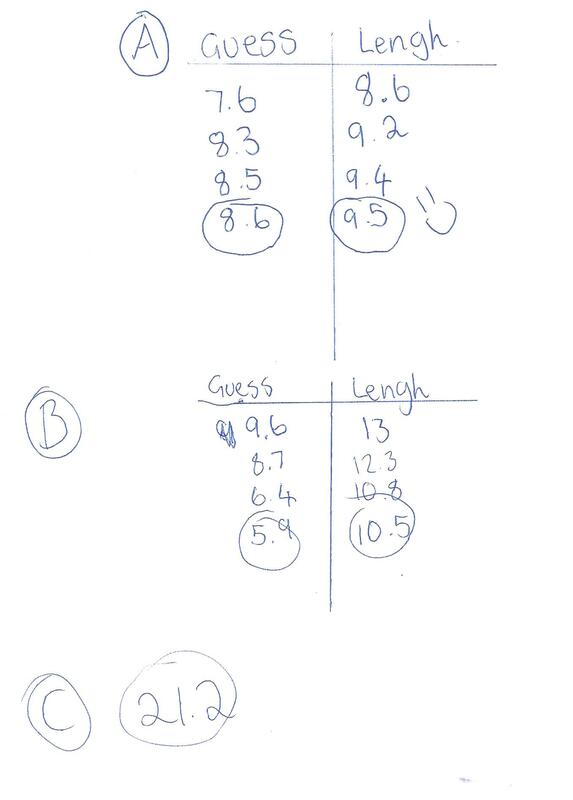 The learner will be more confident with negative numbers once they can sketch a number line like this in their heads. Helping to make one by numbering the chips is a great way to get to know how the line works. During play, the colour of the card will tell you whether to move towards the losers’ end (boo, red, negative) or the winners’ end (hooray, black, positive). This emotional response to the DIFFERENCE between plus and minus is really important later, especially in algebra when kids may not see the minus signs. Confidence subtracting EVEN WHEN THE ANSWER IS NEGATIVE takes time to learn, but this game is ideal, treating the minus numbers as just more places on the number line after you count 5,4,3,2,1,0…. A pack of playing cards, use just the Ace,2,3,4,5 of all 4 suits. 2 different small counters. A 1p coin and a 5p coin would do fine. Place both the counters on the 0 (one below and one above, will avoid collsisions! The BLACK cards are positive values 1 to 5, and the reds are negative 1 to 5. Shuffle the cards and take turns to choose one, moving either right (black) or left (red) the right number of chips. The winner is the first one to go over the 11 (ie score 12), OR the loser is the one who falls off the left hand end by scoring -12. If noone falls of the end, declare the winner after a timed period, say 5 minutes. To make it more challenging, pick 1,2 or 3 cards each. The player decides how many cards to take and then takes them. Can the child make the board? With a bit of help, perhaps? Can they total their 2 or 3 cards before they move, or do they prefer to make the moves for each of their cards in turn? 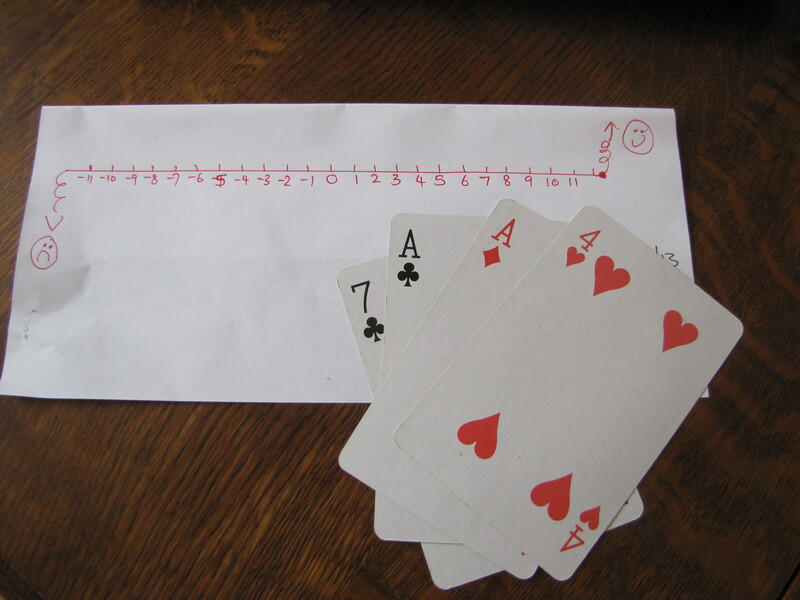 Once the number line is a simple concept for them, you can play with all the cards from Ace to 10, and just keep a score on paper without counting any counters up and down the number line. Winner is the one with the highest (or maybe the least negative) score after say 15 rounds. Players can choose up to 10 cards in one round, and some interesting strategies develop for totalling their hands. More in the next post. Using formulae to solve problems can be fraught with difficulties if some of the numbers are negative. 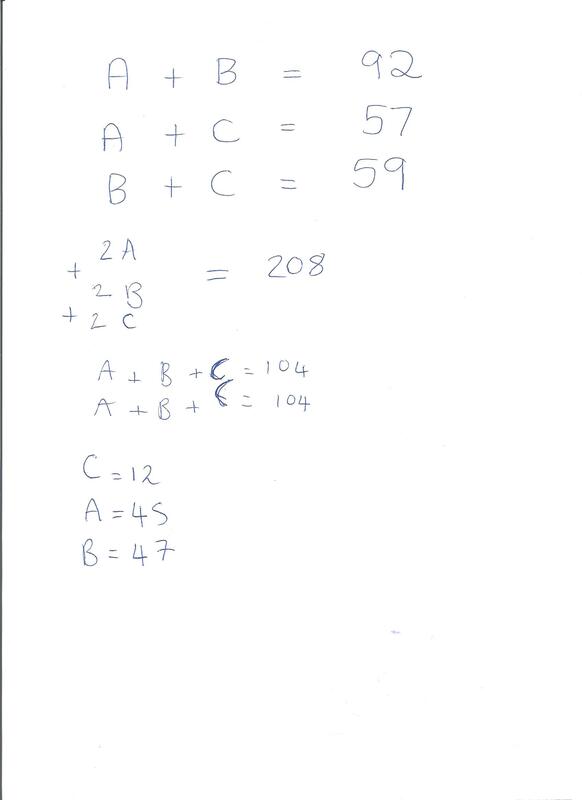 If the calculator is given the values of the letters, then the formulae is keyed in using those letters, accurate results can be achieved every time. The work is also easier to check. 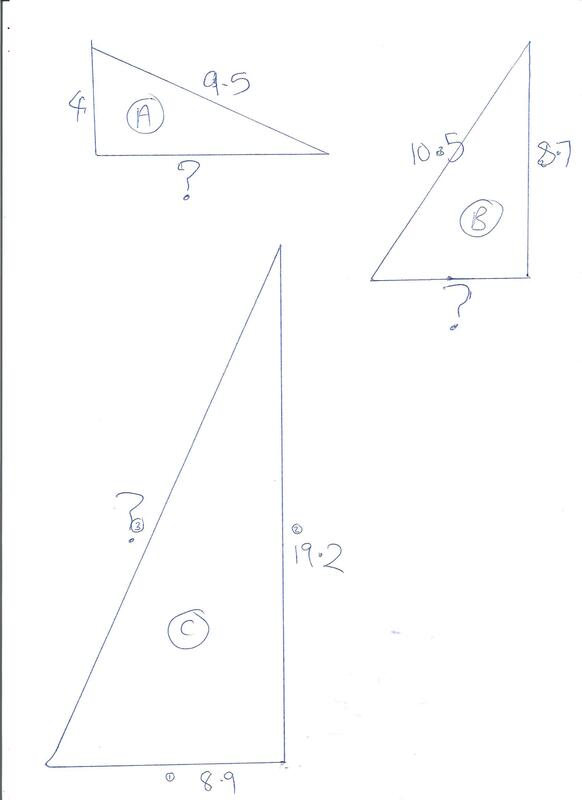 Click here to see a film of the calculator being used to solve this problem. Once that is done you can type entire algebra phrases into the calculator and find their values. 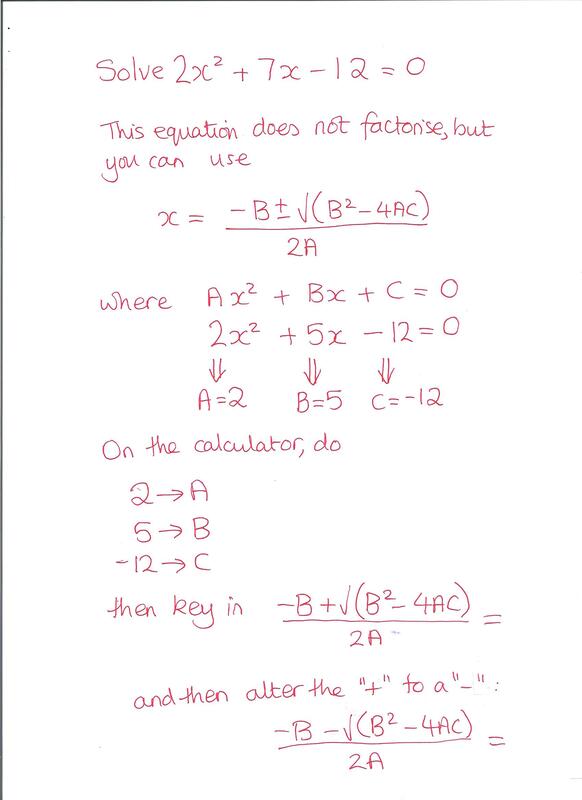 Here is an example of using the calculator to use a formula. You will see that the formula is written with capital letters to match the way the calculator sees the alphabet. Shift Mode 1:MathIO 2:LineO gives you nice mathematical INPUT but just a decimal OUTPUT which is perfect. With Guessing you can go round in circles and forget what you tried…. so we do Trial and Improvement which sounds really posh but it just means we jot down the guess each time and the answer it gives. It’s nice to see the list getting shorter, as you get better and better at making a good first guess.